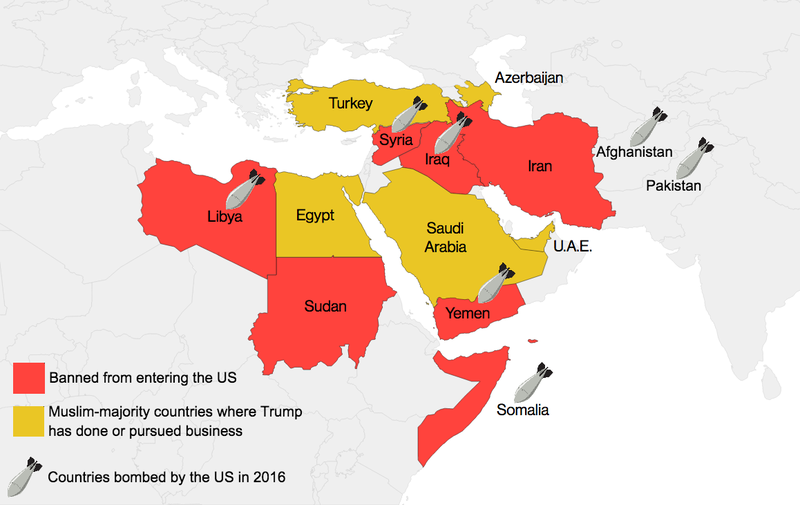 Trump’s Immigration Ban Excludes Countries With Business Ties, Includes Most Countries US has Bombed in Past Year. President Trump has signed an executive order that bans citizens from seven Muslim-majority countries in the Middle East from entering the United States for 90 days, according to the White House. His proposed list doesn’t include Muslim-majority countries where his Trump Organization has done business or pursued potential deals. Properties include golf courses in the United Arab Emirates and two luxury towers operating in Turkey.